Cumbreck Jack Russells, one of the longest standing breeders of 10-12 inch Jack Russell Terriers in England. Breeding multi-purpose terriers capable of working, showing and just being loyal family companions. All dogs are registered with the Irish KC/FCI. She crosses her dogs with pats & lakey not pure JRTs some of them.??? Join in and write your own page! It's easy to do. How? 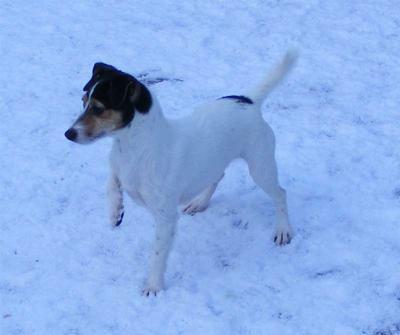 Simply click here to return to JRT Kennels.